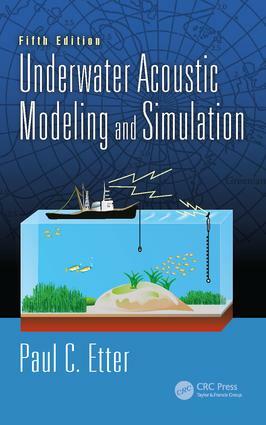 Underwater Acoustic Modeling and Simulation (5th edition) examines the translation of our physical understanding of sound in the sea into mathematical models that can simulate acoustic propagation, noise, and reverberation in the ocean. These models are used in a variety of research and operational applications to predict and diagnose the performance of complex sonar systems operating in the undersea environment. This fifth edition addresses advances in the development and utilization of underwater acoustic models since 2013. The inventory of underwater acoustic models has increased by approximately 10 percent over this period, thus demonstrating a continued expansion of related research and development activities. Major new developments are described in newly created subsections of the existing chapters. This book is intended for those who have a fundamental understanding of underwater acoustics, but who are not yet familiar with the various aspects of modeling. The level of technical detail presented in this book is appropriate for a broad spectrum of practitioners and students in sonar technology, acoustical oceanography, marine engineering, naval operations analysis, systems engineering, and applied mathematics. Sufficient mathematical derivations are included to demonstrate model formulations, and guidelines are provided to assist in the selection and proper application of these models. Updated inventory of underwater acoustic models available for current research and development activities. Discussion of specific examples of each type of model to illustrate model formulations, assumptions, and algorithm efficiency. Instructions in the proper application of models and the correct interpretation of results to assess prediction uncertainties. Demonstration of how underwater acoustic models can serve as enabling tools for assessing noise impacts on the ocean soundscape. Inclusion of updated discussion and analytic questions in each chapter to help students assess their comprehension. Paul C. Etter has worked in ocean-atmosphere physics and environmental acoustics for the past 40 years, including as an active duty ASW officer for the U.S. Navy. He is the author and coauthor of more than 200 technical reports, professional papers, and books addressing environmental measurement technology, underwater acoustics, and physical oceanography. He received his B.S. in physics and his M.S. in oceanography from Texas A&M University.